Dr. Robert Lustig is fed up with the fact that so many children come to his clinic with preventable diet-related disease, such as type 2 diabetes. 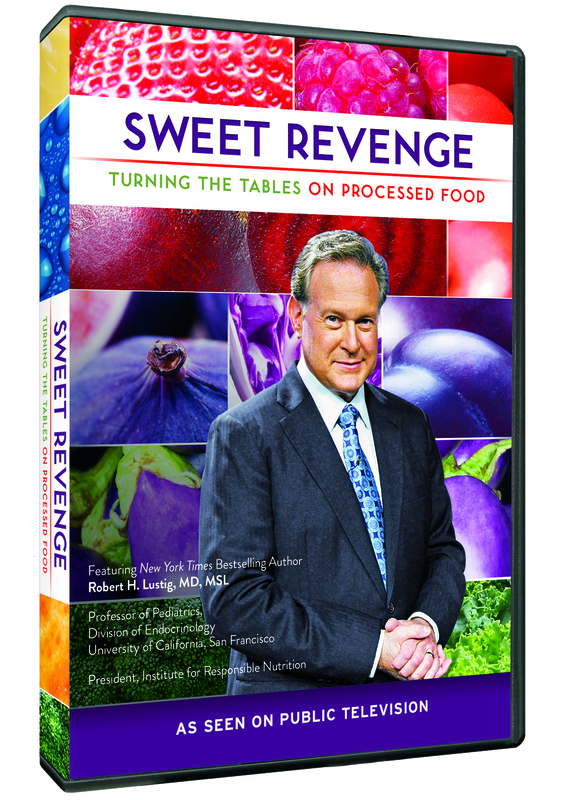 His efforts to fix this epidemic are showcased in a public television special Sweet Revenge: Turning the Tables on Processed Food. Viewed by over one million people, the PBS program addresses health problems associated with our standard American diet and how this affects children and adults in the U.S. and worldwide. Scroll to the bottom of this page to review key topics discussed in the PBS program, organized into a concise study guide. Get a “Dr. Lustig” discount and view Sweet Revenge today! Thanks to our friends at Advise and Consent, the Producers of Sweet Revenge, you can get a (significant) special discount on viewing Sweet Revenge online – in English or Spanish! The program gets 5 star reviews on Amazon. Enter discount code: IRNSR for a $1 discount. This page features the key topics discussed in the Sweet Revenge and provides you with a concise study guide. Just click on the accordion bars below to access a brief summary of each topic covered in the PBS program. Dr. Lustig explains that the problem is the quality and not quantity of the food we eat. The real culprit is processed food, loaded with added sugar and stripped of natural fiber and nutrients. 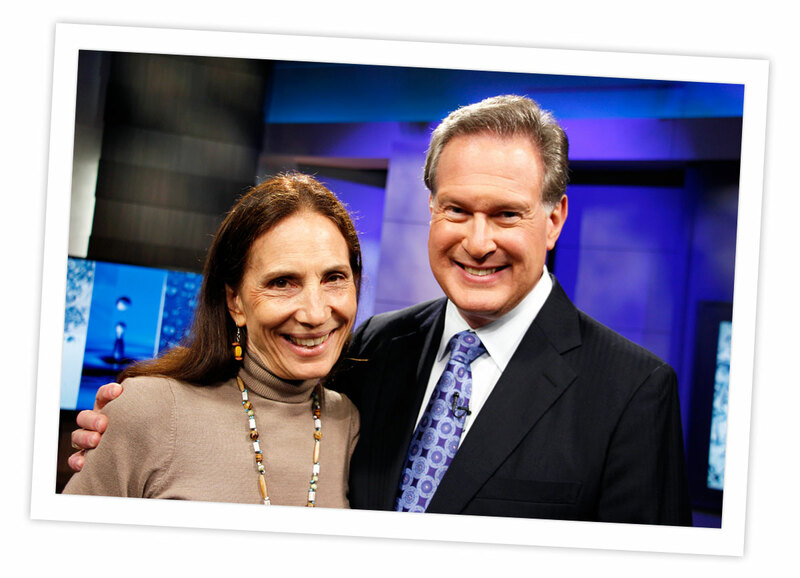 In this program, Dr. Lustig debunks several misconceptions and generalized between our relationship between obesity, food and wellness. Scientific research and knowledge is provided to support every claim. Processed foods are full of sugar and they are killing us. In order to reverse this trend we must relearn how to feed ourselves and retool the way we think about the relationship between obesity, food and wellness. We need to do this by first debunking some key myths. Myth 1- Obesity is a result of too many calories and too little exercise. Debunked: Obesity results from the quality of food vs. quantity of food. “Obesity is a form of malnutrition, and today it comes from eating processed foods.” The American food supply has 600,000 items of which 71% are spiked with added sugar. Your body stores a larger percentage of fat with processed foods than it does with whole real foods. Americans consuming increased sugar translates to increased body mass. This increase in body mass increases young childhood chronic illnesses like type 2 diabetes. “Now obesity is an epidemic in children; it’s an epidemic in toddlers; even in newborns.” Increase in birth weights worldwide result from increased amounts of sugar crossing the placenta in utero growing irreversible fat cells before birth. Myth 2 – All calories are created equal. Metabolic diseases often result in the body metabolizing food to excess stored body fat, and results in type 2 diabetes, non alcoholic fatty liver disease, some cancers, kidney disease, Alzheimer’s and polycystic ovarian disease. Metabolic diseases account for 75% of all chronic diseases and are reversible with proper dietary adjustments. Metabolic diseases are preventable and are attributed to the quality of the food we consume; whole foods vs. processed foods. “Processed food is food that comes in a bottle, or a jar, or a can, or box, or a wrapper. And it includes fast food and junk food. All these types of food products have ingredients that have either been added or removed and that’s what makes them unhealthy.” Processed food is stripped of its’ fiber and has added sugars to increase the taste and shelf life of the product. Sugars in food increase fat in the liver, increasing the risk of metabolic syndrome. Sugars contribute to metabolic diseases and are not “empty calories” as commonly thought. “Add sugars contribute to metabolic syndrome, diseases like type 2 diabetes, heart disease, and fatty liver disease.” A key to reversing metabolic syndrome is to reduce sugar intake and consumption of sugary beverages and processed carbohydrates. The obesity epidemic began in the late 70s when the nutritional focus was on heart disease. “We thought that dietary fat was the problem. We thought the problems was too much meat and eggs and milk. It wasn’t.” The FDA said we needed to regulate fat intake in the American diet by removing saturated fats from foods. After the removal of saturated fats, the food was left tasteless which was a problem for the food industry. In order to make the food palatable again, more sugar was dumped into the food supply. Where did all the sugar come from? Sugar is half glucose (six-membered ring, energy of life that every cell on the planet burns for energy) half fructose (five- membered ring, sweet molecule that only the liver can metabolize). When the liver is overwhelmed with too much fructose, the liver has no choice but to turn the extra energy into liver fat, which can lead to metabolic disease. Sugar sources: read your labels. Sugar should not be in the first 3 items on the list of ingredients, if it is, it should be treated as a dessert. There are at least 56 names that the food industry uses for processed sugars. Some of these include; fructose, dextrose, corn syrup solids, molasses, sugar, brown sugar, high fructose corn syrup, maltodextrin, dextrose, puree. Sugar is hidden in our food supply. Sugar is hidden in 40% of beverages including soft drinks, juices, alcohol. Calories should come primarily from your food intake rather than by drinking. “…sugar is like alcohol because it impacts the pleasure center of the brain in the same way and makes you want to consume more.” Juices are to children what alcohol is to adults – full of sugar and harmful calories. “Sugar is the alcohol of the child.” Both sugar and alcohol are metabolized exclusively in the liver and in excess, and both can lead to liver fat accumulation and metabolic syndrome. Making a conscious effort of acknowledging where the sugar you are consuming is coming from will result in a decreasing of overall sugar consumption and allow you to dictate where you want to be consuming sugar, for example a dessert. Indulging yourself to a delicious dessert once a week is ok, as long as it is not an everyday indulgence. Make it worth it! Effects of sugar on health and commerce. Increased sugar in food supply has resulted in an increases in metabolic syndrome and a significant increase in the food industry’s profit because sugar improves taste and shelf life of a product; no depreciation. “Good for your wallet, lower food prices. 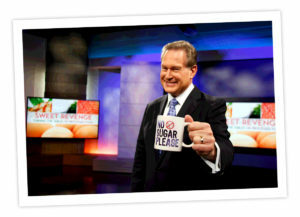 But bad for your health.” One of the first things to do is to stop buying processed foods with all of that hidden sugar. Read your food labels; keep an eye out for sugar’s many code names- limit your sugar intake. Our hormones are affected by what we eat. Once we understand how this works we can make our hormones work for us rather than against us. “Sugar makes our hormones go haywire.” A hormone is a chemical that’s made in one place of the body but works somewhere else. “ Hormones are the master controllers of whether we burn energy or store it.” There are four hormones that play important roles when we eat; two cover the two short term signals and two cover long-term signals. Ghrelin is the first short term hormone and it comes from your stomach. It is the “hunger hormone,” when your stomach is empty ghrelin goes up, and signals to your brain that you are hungry. Once you have eaten, ghrelin levels drop, but this does not necessarily mean that you will feel full. Although your stomach is full, you will not realize you are full until much later. This is when the second short term hormone comes into play; peptide YY. Peptide YY is made at the end of the large intestine and it referred to as the “satiety hormone.” This hormone signals to the brain, “Not another bite. I’ve had enough. I’ll die before I’ll eat again.” You do not get the signal that you are full for a full 20 minutes after you have started eating. It is recommended to take your time while eating to allow peptide YY to tell you brain that you are satisfied. Insulin is the first of the long term term signals, which is made in the pancreas. “Insulin is the energy storage hormone. It sends nutrients from whatever you’ve eaten to where they need to go in the body,” for example, amino acids from proteins will go to muscles, fat will go to fat cells and carbohydrates will either be utilized immediately (burned) or the excess will get deposited in fat cells also. The final hormone is called leptin, which is made in fat cells. Leptin is called the starvation hormone, “when you have enough energy stored up in your fat cells, your leptin levels are higher.” The hormone sends a signal to the brain by traveling through your bloodstream saying “hey I don’t need to eat so much. I’ve got enough energy on board,” which results in you decreasing your food intake. Leptin helps regulate your appetite this way. The first problem is posed by processed sugars and processed foods on hormone regulation. Too much sugar creates too much insulin, which overwhelms the liver and causes it to store fat. Increased blood sugar puts us at increased risk for large vessels diseases like diabetes, cancer, etc. The second problem is posed by the vicious cycle that is created by excess sugar in our diet that is wreaking havoc on our health. An increase of glucose results to increased insulin levels because of the increased sugar in bloodstream. This creates spikes in your blood glucose level, or blood sugar level. This increase of insulin blocks the leptin signal (starvation hormone) from reaching the brain – our brain does not receive the message of satiety, we do not know when we have had enough. As insulin is translated to more fat and leptin is blocked, we will find ourselves overeating which in turn results in increased sugar and more fat stored. Without leptin signal, your brain thinks you are starving so you continue eating and consuming more sugar, creating more insulin- thus the vicious cycle continues. Buying fresh, organic fruits and vegetables can regulate your appetite, prevent insulin levels from spiking and stop the many negative side effects that result from consuming processed foods and sugars. Buying locally sourced produce will support your community and local farmers markets. Strive for variety! Diabetes is bad for two reasons, the first being that high blood sugar damages small vessels and secondly, high blood insulin promotes inflammation and large blood vessel disease like coronary heart disease and carotid heart disease to cause stroke as well as putting you at risk for developing cancer. “10% of the population it (diabetes) and another 40% of the population is at risk.” Diabetes cannot be reversed until the diet is reversed and hormones are regulated.”In the past, one of the biggest drivers of type 2 diabetes was alcohol. “Obesity is brain starvation.” Obese people are not being fed properly. Increased insulin blocks leptin, the brain never receives the “I’m full signal”, so we over consume sugar filled product. How can you reverse diabetes? A solution to help reverse these effects is to restrict sugar to control insulin spikes and to release leptin which in turn will regulate your appetite and level out blood sugar levels allowing you to keep weight in a normal range. We also need to just slow down! We need to slow down our eating to give our hormones to chance to regulate when we have stored enough energy and to properly send signals to our brain. Real food for optimal health. Cut back on sugar intake by eating real food. Read food labels, if sugar in any form is in the first 3 ingredients move on to another item. Remember to inspect labels on ketchup, sauces, breads, desserts, breakfast foods and beverages that are in your cart. Do not grocery shop while you are hungry. Shop the edges of the market, most foods on the inner aisles are processed. Stick to produce and meat departments on the outer aisles. Stick with wild caught fish, grass fed beef and eggs from free range chicken. Other types are corn fed to get the animal fat fast to market faster and to increase profits. The increased fat is passed onto the consumer. Avoid partially hydrogenated, which is code for trans fat which are extremely dangerous to put in our bodies. Remember, if it comes out of the ground it is good. It generally has low glycemic levels and high fiber. If not, analyze what processes it has gone through. Pay now or pay later! “Pay for real food now, or pay for the medical costs later.” We need to be eating foods that are low in sugar and high in fiber. Fiber reduces insulin, meaning less energy storage which makes the peptide YY (satiety signal) occur faster. Try avoiding all processed foods and sugary beverages. Your diet should be primarily composed of real and whole foods. Doing so will promote your health and reverse disease. By adjusting your sugar intake, hormones will be working for you rather than against you. Maintaining an energy balanced diet means that you can still occasionally indulge in dessert; planning ahead and making it a weekly event will decrease the chance for deviations.